Fiorinal is one of the trade names of the combination analgesic medication butalbital, aspirin, and caffeine. Each capsule of Fiorinal contains 50 mg of butalbital, 325 mg of aspirin, and 40 mg of caffeine. Fiorinal detox centers offer detox and withdrawal treatment to people who have developed dependence and addiction to the drug. If you or your loved one is facing Fiorinal addiction problems, call us today at 1-888-287-0471	Who Answers? and find out about how you can treat this condition safely. Taking large doses of aspirin may cause liver damage. Do not administer Fiorinal to children and teenagers, as aspirin may cause adverse side effects especially if the child manifests flu-like symptoms or has chickenpox. Fiorinal contains butalbital, a sedative hypnotic that belongs to the class of drugs known as barbiturate. While butalbital is only classified as a Schedule III controlled drug, it can be habit-forming and long-term use of a drug that contains butalbital may cause tolerance, physical and psychological dependence. This may cause withdrawal symptoms when Fiorinal intake is stopped abruptly. Fiorinal detox centers aid in the treatment of withdrawal and addiction symptoms. According to the Substance Abuse and Mental Health Services Administration (SAMHSA), there were 791,385 emergency department visits in 2009 that involved the non-medical use of central nervous system acting agents. About 516,045 of this number involved ED visits due to pain relievers like Fiorinal, 13,922 were due to salicylates products like aspirin, and 11,824 involved the non-medical use of barbiturates. 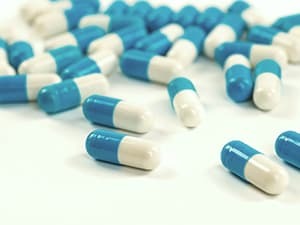 “Butalbital is the most addictive component of Fiorinal and treatment to withdrawal and addiction incorporates gradual drug reduction of the addictive drug.”Butalbital is the most addictive component of Fiorinal and treatment to withdrawal and addiction incorporates gradual drug reduction of the addictive drug. Fiorinal detox centers gradually decrease the regular dosage of the patient over time in order to alleviate withdrawal symptoms. Depending on the severity and extent of addiction, the withdrawal process may take several days to weeks. Aside from butalbital addiction, many Fiorinal addicts also experience barbiturate intoxication and acid imbalance due to the large doses of butalbital and aspirin in the body. It may require gastric lavage (stomach pumping or gastric irrigation) to clean the contents of the stomach if the patient is unconscious. Administration of IV fluids should be accomplished to correct the electrolyte imbalance, alkalinize the urine, and induce dieresis. Extreme intoxication may require hemodialysis or exchange transfusion to ensure the safety of the patient. The best detox centers have sufficient Fiorinal withdrawal treatment and addiction treatment facilities to ensure the care of all patients. After completing the detox and rehab process, the patient is encouraged to complete an addiction treatment program that actually treats the addiction issue. In addition, they are encouraged to join a local support group like Alcoholics Anonymous that helps people who are addicted or have a previous addiction to alcohol, sedative-hypnotics, and CNS depressant medications like butalbital. Narcotics Anonymous is another organization that aids people who have current or previous addictions to painkillers or pain relief medications like Fiorinal. Many luxury Fiorinal detox centers have support groups that address addiction to both types of drugs. They also have one-on-one counseling and behavioral therapy to aid in the prevention of addiction relapse. Call 1-888-287-0471	Who Answers? to learn more about the best Fiorinal detox centers and the various treatment and recovery options. The plasma half-life of butalbital is approximately 35 hours. Taking alcohol and other central nervous system depressants may lead to respiratory depression and extreme euphoria. Fiorinal contains a small dose of caffeine and acts as a CNS stimulant. Caffeine has been observed to constrict blood vessels and consuming high amounts of caffeinated drinks may contribute to tension headaches. Formulations that contain high concentration of aspirin give off a strong smell of vinegar. Do not take Fiorinal if it begins to smell strongly of vinegar because it means the aspirin in the drug is beginning to decompose or break down.